An annual compilation of themed essays, exhibition highlights, and Gallery news, the Yale University Art Gallery Bulletin publishes original scholarship on works in the Gallery’s collection. Written by Gallery curators and outside scholars, contributions vary in length from extended studies to brief notes. 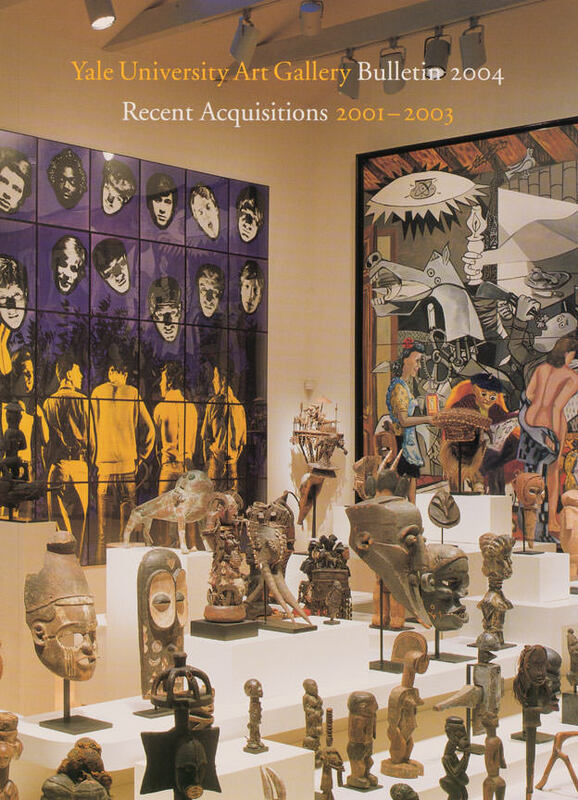 The 2004 issue of the Bulletin showcases a selection of the Gallery’s acquisitions from 2001 to 2003 through essays on the Charles B. Benenson Collection of African art; recently purchased Greek bronzes and a marble statue; a painting by contemporary artist Yvonne Jacquette; and several other prominent acquisitions.